Now you can own your own press - and publishing arm - and editing staff - and publicist. The Web and SiteWave are all you need - besides something worthwhile to say, and the character to analyze, synthesize, filter, and be of service. Have PC and an Internet connection? You can be a media mogul too. G.A. Henty Collection has arrived- just in time for Christmas. Listen to a speech by Dr. Robinson about homeschooling and more. Read the Robinson family's story and discover how their efforts created a home school that actually needs no teacher and is extraordinary in its effectiveness. I Love the Robinson Curriculum! 22 CD-ROMs, deluxe softcover folding CD case, printable books, science program, vocabulary, phonics, and math flash cards.[MORE... ] Note: Does not include the Saxon Math books. Use as a standalone homeschool curriculum or as a supplement to your children's current school education; all books, science program, and vocabulary, phonics, and math flash cards included.  You can find out where to start older children here. The total price of the Robinson Curriculum is $195 - onetime. Regular shipping is included free. No matter how many children you have you only need to purchase one curriculum for them all. Ask about FedEx shipping for only $35 (great for emergencies). This set of 6 CD-ROMs contains all 99 books written by G. A. Henty. It also includes 53 short stories by Henty and 216 short stories by his contemporaries. 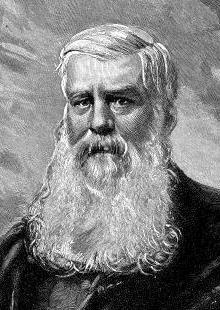 Written during the latter part of the 19th Century, G. A. Henty's books were very popular and widely used in the schools of Britain and the United States during the late 19th and early 20th Centuries. Moreover, through his personal experiences and careful scholarship, Henty provides very detailed and accurate accounts of history. While one might read a section of a history book concerning, for example, the conquering of Mexico by Spain, most such accounts are dry and shallow in comparison with Henty's tale of the primary happenings and of the way of life of the people caught up in those events. All pages of these books, including illustrations and colored covers are on the CDs as 600 dpi image files. When printed with the included software, they look exactly like the originals. Moreover, image sizes can be adjusted during printing, so the reader is not limited to the small print that was customary a century ago. An excellent on-screen reader is also provided for those who wish to read the books on the computer screen. Access to Energy is a pro-science, pro-technology, pro-free enterprise monthly newsletter packed with information and comment on science, technology and energy and on those who would restrict your access to it. It gives you answers based on facts with which to dispel myths. This website gives you access to 6 months of free sample issues. We are sure that, after reading these, you will want more. This is one of those rare newsletters that does not stop with just publication, but goes into effective action for the causes it espouses. The latest instance of this is the Petition Project - an anti-global warming petition signed by over 17,000 scientists - which exposes Al Gore's "scientific consensus" on global warming as phony. This Petition Project was funded by subscriptions and donations from the readers of Access to Energy . See Global Warming Debunking News and Views for more. Whether your Y2K compliance efforts are in full swing or you haven't started, Sulver Bullet is a low - cost, fast, and effective alternative. The first mainstream media coverage for the Y2K Silver Bullet (Immunity) and yours truly came in January's issue of PC Computing on page 198 - next to a picture of Arsenio Hall. ??? Go figure. Y2K professionals provide system date shifting and data aging. The Y2K Silver Bullet can be a bigger cash cow than Y2K code remediation! Register here. Join our public online community www.dejanews.com/ ~y2kimmunity and post your views. "...making humans adapt to keep the computers working seems brilliant. ...this make more sense than a lot of advice I've had to give people about running their software." "Most Important Website on the Internet!" "...I sent letters to five network TV News department fax machines telling them that your "Y2K Silver Bullet" web site address was probably the most important web address they would ever receive and they should have their computer exec's check it out, test it, evaluate it, etc. ... Under the present circumstances few things make as much sense as the "Y2K Silver Bullet ." Zero cost to implement beyond your existing budget. You may have heard that there is no such thing as a silver bullet for the Y2K problem. No so! Y2K Immunity is it. Bill Gates agrees, "...there's a way of fooling the system by just taking all the dates you put in and subtracting 30 years before you put them in and adding 30 years when you put them out". I think 11 years is best (see Why 11 Years?). You, your company, your suppliers, and your customers do not have to participate in the Y2K Bug. Simply turn back the clock and age the data. Try it on a backup system and make backups of your data first (always a good idea anyway). There are very few systems this solution won't work for (see Immunoresistance). Think about it. Your computer systems have been fine tuned to work well and have proven themselves over the last decade. They are tested and totally compliant with 2 digit year dates. Why not keep them in 2 digit mode until they are replaced with new and better systems? "Thou Shalt Not Lie" only applies to people, not computers. Its OK to turn back your computer's date and fool it into thinking it is 11 years earlier than it is. When it comes to corporate survival strategies regarding Y2K, "compliance" as an all or nothing proposition is a clear loser. There are not enough programmers or time to retrofit the 2 digit systems we all depend on. Ed Yourdon has done a good job of documenting how 65% computer projects fail or come in late. See his books at www.yourdon.com. Now is the time for real men to show themselves ready to take on the challenge of keeping things going, to exercise faith in God, using our freedom to give our families a fighting chance. To be diligent in our devotion to the future of Christendom, keeping the tools of dominion intact. It is time for socialist cowards to throw in the towel and be full of dread, unable to cope with change, unable to muster the commitment and sacrifice to meet the challenges of Y2K. Meanwhile we will simply implement the Y2K Silver Bullet where needed and get on with growing our way into the new millennium as free men. This site outlines all the projects of the Oregon Institute of Science and Medicine. The Oregon Institute of Science and Medicine is a small research institute in southern Oregon. It was founded in 1980 to conduct basic and applied research in subjects immediately applicable to improvements in human life - especially in biochemistry, diagnostic medicine, nutrition, preventive medicine, and the molecular biology of aging. The Institute is entirely supported by donations and the independent earnings of its faculty and volunteers. It does not solicit or accept government funds. The Institute has six senior faculty members, about fifteen volunteers who work actively on its projects, and a larger number of volunteers who help occasionally. It owns a 10,000 square foot building located in a rural setting about 7 miles from the town of Cave Junction in southern Oregon. 5,000 square feet of this building is now used for research, including the Institute's laboratories, library, and other facilities. This facility and a modest complement of research equipment are the Institute's principal physical assets. The Institute has no debts and a policy of incurring none. At present, work is proceeding on several specific projects including the effects of atmospheric carbon dioxide levels on health and longevity of mice; the role of protein amides as molecular timers of protein turnover, development, and aging, the use of urine and blood profiling for predictive and preventive medicine; the development of comprehensive materials for use in home school education; and the production of educational materials for civil defense. Recent publications include a home school curriculum and research on nutrition and cancer. The research and development work of the Institute is carried out to the full extent permitted by donations that it receives. The Institute is classified by the IRS as a 501(c)3 public foundation. so all donations are tax deductible. The book is also available for $19.50 from the Oregon Institute of Science and Medicine. As a special bonus with your order you get the 2 most recent issues of the hot newsletter Access to Energy. This site lets you keep up with the latest news on the progress of the Anti Global Warming Peition Project. It chronicles the breakdown of the vaunted myth of the "scientific consensus on global warming." This exciting site really shows the power of the Internet in giving a voice to those who content for the truth. This site was pulled together in a very short time to publicize the thousands of signers of the petition. SiteWave was used to its fullest and the results are high quality, professional, and make a great impact. This website provides information about a highly effective diet related treatment for cancer. Start up a discussion that's easy to follow. ForumsWave's threaded discussions offer the best format for setting up and maintaining simultaneous discussions on any number of topics for your Web site. Each discussion has threads which show an easy-to-scan outline of the discussion. Just by looking at the threads of a discussion, users can quickly navigate their way to the information that matters most to them. In a thread, users can see which messages build upon each other, and decide whether to respond to an original message, comment on someone else's reply, or send the discussion in a different direction. Stay up to date on the latest messages. Users can stay on top of any new additions to discussions by subscribing to a thread. They'll be notified by e-mail whenever there's a new message in that thread, and subscribed threads will have priority listing in their view of the forum. Whip up great collaboration by attaching files. Sharing information and collaborating on your Internet or Intranet site is a cinch—no matter where users are located or what computing system they have. With ForumWave, anyone with a Web browser can be given the privilege to upload files and attach them to messages in a discussion group, so that others are able to easily access the files. For example, a medical research team could post messages to a discussion thread on cancer research and attach reports of their findings on new treatments. Real Audio voice files could be attached to give secretaries correspondence (a distance insensitive Dictaphone) to transcribe along with scans of related documents. Even graphics such as maps, photos, drawings, and graphs can be attached and included in a message. A forum discussion of antiques could have a thread about auctions, where users could list their auction, attach photos of antiques that will be offered, and include a map of how to get there. Cut to the chase with advanced searching. There's no poring over boring messages to get to the ones you want. ForumsWave's powerful search tools let users quickly find messages of interest. You can search for postings by author, date, keyword, or message area. Warm up fast with a friendly interface. Users will have an easy time participating in your conferences thanks to the clear, simple-to-use interface offered by ForumWave. Navigating is a no-brainer for even novices. Extensive online help is included. Users also have a say in how they look at conferences and forums, choosing whatever best suits their needs from a variety of configurations. They can screen out forums, sort threads and messages, use frames, control the fonts and even include their own signature on messages. ForumWave is a web-based threaded discussion application used to host online conferences. In addition to reading and posting messages, you can also customize a number of conference options, like email notification, which, if enabled, allows you to receive notification by email of any messages that have been posted to threads you are interested in. With its end-user customizable interface, you can define a number of options for viewing conferences and interacting with other conference participants. For example, you may be able to choose between a frames and non-frames view of conference pages, depending on whether your conference administrator has enabled this feature. You can choose a font face and font size for view messages, and you can choose a number of options for managing how messages are displayed. End Users can start here for an idea on how to use ForumWave and how it all works. This forum is dedicated to ridiculing the ridiculous. So come on in and join the fun. Seen a great bumpersticker that nails a dumb liberal issue where it hurts? Post it here and let everyone enjoy it. This is a forum dedicated to discussion centered around the exciting book published online at www.creationscience.com. Come on in and join the fun. On some pages I do not want my content to wrap to the full width of the page. How do I stop it from wrapping? entire website as a single document!